and two of them in a row rock even harder. and when they sandwich a 3 day school week they rock the hardest. at least that’s how i’m envisioning this week. so, what do we do on the monday of a three day? head to the ortho – i’m a good planner like that. i did follow it up with a trip to starbucks for a peppermint mocha for me and a peppermint signature hot cocoa for the one whose mouth is gonna be hurting soon. pain that is totally worth it because – wow – her teeth look so straight. and i’ve been freed from the 24/7 wearing of the retainers. the orthodontist said i was obviously a model patient. heh, heh, heh. this evening c16 has play practice. he has a performance on saturday night and needs a tan. our people don’t tan and i’m pretty sure the chance of finding self-tanning lotion in a country where whitening is the thing is pretty much nil. thankfully a friend had some she’d brought with her from the states. looks like getting his tan on is gonna be project numero uno for the next three day. well, that and a13’s birthday party. 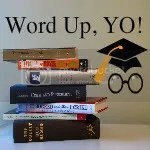 Another Word Up, YO! post. This week’s word is “festive.” You can join in, too. This entry was posted in a18, c21, jingle bells, metal mouth. Bookmark the permalink. Congrats on those nice, straight teeth. I can’t wait until Julianna’s done…at least with phase one. Good luck with the tan and the play for C16. Hope both go well. texas is its own country, right? 😉 it might do them good to work on relations with other countries.